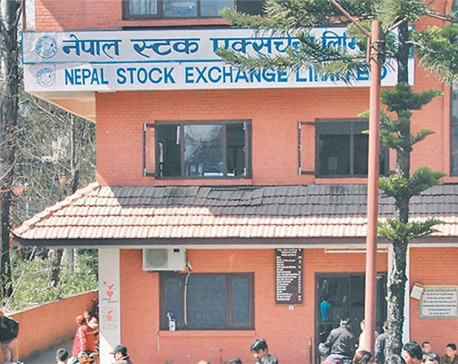 KATHMANDU, July 12: Average daily turnover at the Nepal Stock Exchange (Nepse) increased by nearly 26 percent in the current fiscal year compared to the daily transaction volume in the last fiscal year. Data compiled by the Securities Board of Nepal (Sebon) shows that the average daily turnover of securities in the secondary market jumped to Rs 892.7 million in the current fiscal year 2016/17 compared to Rs 706.6 million in 2015/16. The average daily turnover in the country's only bourse observed a growth of nearly 26.34 percent in the current fiscal year despite the stocks losing value. Daily turnover had more than doubled in 2015/16 after the Nepse embraced dematerialized share trading system by replacing paper-based trading in January last year. According to the data, average daily turnover had climbed up by 133.28 percent to Rs 706.6 million in 205/16, compared to Rs 302.9 million in 2014/15. Along with the introduction of full-fledged dematerialized system that propelled the daily turnover to a new high, the high prices of stocks, which were on a bullish trend, also contributed the average daily turnover to grow further. The benchmark Nepse index plunged by nearly 294 points to 1,587.56 points on Wednesday, down from a record high of 1,881.45 points recorded on July 27 last year. According to market analysts, the implementation of dematerialized form of share trading has enabled quicker trade and settlement of shares. While it used to take a long process for an investor to get share ownership certificate on hand earlier, s/he can now get the shares in his/her dematerialized account within a maximum of four to five days from the day of purchase. “Due to the full-fledged implementation of dematerialized form of share trading, it has been easier for investors to sell shares after four or five days of buying them. Or, investors can get payment within three/four days of selling their shares. 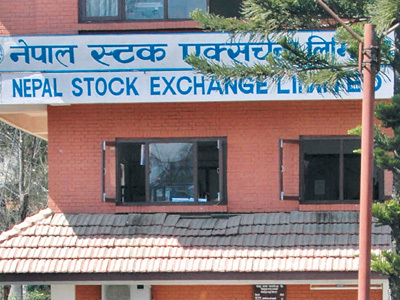 So, it helps to revolve the same shares or cash in the market,” Anjan Raj Poudyal, former president of Stock Brokers Association of Nepal (SBAN), told Republica. Another factor attributed to rise in average daily turnover was excess liquidity in the banking system in the first quarter of the current fiscal year which helped to channelize cheaper funds into the stock market, say analysts. However, the turnover has been gradually falling after the first half of the current fiscal year when the banking industry started to face the credit crunch. Entry of new investors and growing awareness about the capital market and stock market has also contributed in the growth of the turnover and transactions in the market. “During the boom phase, many novice or new investors are tempted to invest in the stocks as they see their friends or other relatives making money in the market easily. They provide further liquidity to the market,” added Poudyal. The new reform measures introduced by the Sebon in recent months have also helped to boost the confidence of investors in the market. Applications Supported by Blocked Amount (ASBA) system for public issue, shortening the process and duration for shares to be listed in the secondary market, and corporate governance measures have also helped to increase the market size and volume in the market, say observers. According to data, 364.6 million units of shares were traded in the market in the current fiscal year (as of Monday) compared to a total of 302 million units in the last fiscal year.